Visit Silves in August and see how the Moors and Christians lived in the Middle Ages. 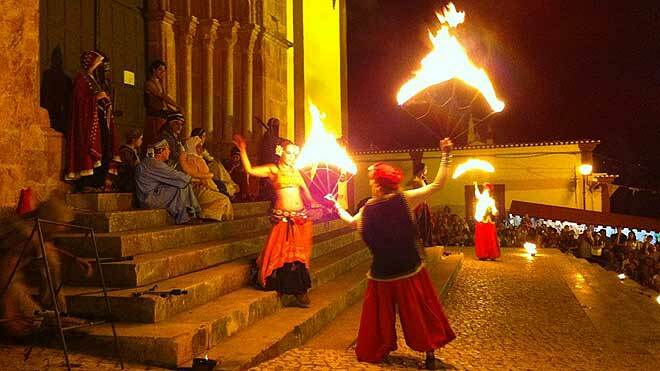 During a nine-day period, Silves (capital of the Algarve during the Arab occupation) will return to its golden age. In a historical recreation of the Christian Reconquest era, the city will be invaded by characters from the distant past, including jugglers, acrobats, dancers and snake charmers, who will exhibit their skills. Don’t miss this opportunity to see a live-action history lesson, including processions of noblemen, jousting tournaments and artisans and merchants offering their wares.